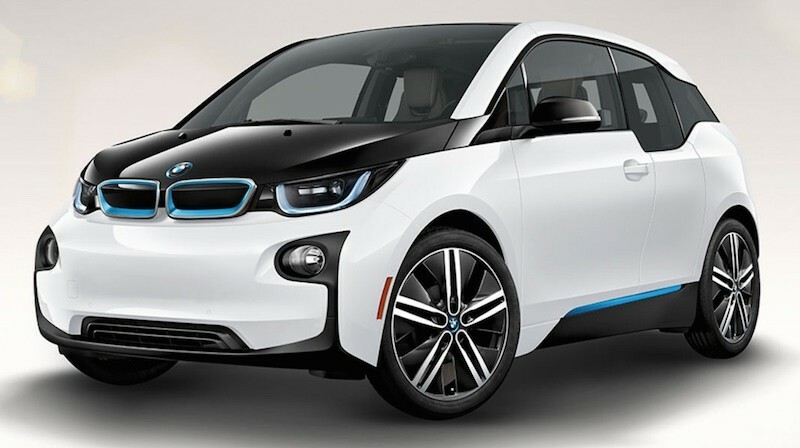 Earlier this month, rumors suggested Apple had been in talks with BMW about potentially using the body of the electric BMW i3 as the basis for its Apple Car, but those talks did not progress into a deal. Reuters has now spoken with some inside sources at BMW, giving us more insight into what the two companies discussed and where their relationship might lead in the future. Apple CEO Tim Cook and other senior executives visited the BMW factory in Leipzig, Germany in 2014 to look into how the i3 is manufactured. According to Reuters' source, Apple left the talks without reaching a deal with BMW because the company wants "to explore developing a passenger car on its own." During the visit, Apple executives asked BMW board members detailed questions about tooling and production and BMW executives signaled readiness to license parts, one of the sources said. News of the Leipzig visit first emerged in Germany's Manager-Magazin last week. "Apple executives were impressed with the fact that we abandoned traditional approaches to car making and started afresh. It chimed with the way they do things too," a senior BMW source said. Apple and BMW do not have plans to jointly develop a car at this time, but one of the sources believes that "exploratory talks" could potentially be revived in the future. Given Apple's lack of experience with industrial manufacturing, a partnership with BMW or another car company would make sense, as it could help speed up development and eliminate many of the headaches associated with entering an entirely new industry. Details on Apple's rumored car project remain scarce, but the company has been hiring several automotive experts over the past few months. Apple is said to have hundreds of employees working on the secret car project and has picked up employees from companies like Tesla, Ford, and GM, along with robotics experts and researchers specializing in cutting-edge car technologies. Rumors have suggested Apple plans to introduce its car by 2020, but Apple often works on projects that never make it to fruition, like the much-rumored Apple-branded television set. It's possible that Apple's car plans could be shelved or delayed in the future if the company is unhappy with its progress or finds entering the automobile market to be an unviable option. Neither Apple nor BMW, and certainly not a combination of the two has the necessary vision and follow through to do a car right. I don't think they got the watch right, Apple music is a miss, and I'm frightened of what they'll pump out for a tv product. Just buy Tesla and be done with it. Ah, the recycled "buy 'x' and be done with it" comment. Tesla is innovating at a rapid pace. Please, Apple, don't buy Tesla and ruin that. Apple is not going to build a car. I must say, I don't find these Apple Car rumours encouraging. I love using my Apple gear, particularly my iPad and iMac. But the prospect of an Apple Car does nothing for me. I can get from A to B comfortably, quickly and with ease with a car now. What can Apple possibly invent to improve this? Smartphones had a tiny presence before Apple got in. Ditto tablets. Cars have a huge, comprehensive, competitive landscape which covers every price range and quality level. I can imagine Apple carving a luxury niche, but what's the point? It's almost as though Apple can't cope psychologically with being a big company, and are trying to make niche products like the Apple Watch, because subconsciously, they want to be small and exclusive. I think they should substantially lower the price of the iPhone and make it as mass market as the iPod was. Jobs proved that they could combine quality with volume. Let's see Cook follow in his footsteps, if he has the balls. Why, so Tim Cook, the confused, visionless, bean-counter could ruin Tesla the way he's ruining Apple? No thanks. I have a better idea: How about Apple replace Tim Cook with Elon Musk? I just can't imagine Apple entering such a low-margin business like automotive. Normally apple only enter markets where they feel like they can make a difference.. Can't really see how to differentiate here.. Google, Bmw, Audi and others are already working on self driving cars.. What are they gonna do different here? Put a fruit logo on it. I still don’t see why Apple is even interested in that market. What is so interesting about it? We might find life on Mars "At a later date" too.